Ethereum wallets are much the same as other cryptocurrency wallets. A cryptocurrency wallet is a location where your cryptocurrency is stored. It is basically a bank account where you store your coins, except you do not have to deal with the bank, and you have ultimate access and control over your account. 1 What is an Ethereum Wallet? 2 How Does an Ethereum Wallet Work? How Does an Ethereum Wallet Work? Every wallet has a receive address. If you want to send Ethereum to your wallet address, you need to give the sender the receive address of your wallet. It is like an IBAN number for your wallet. But this IBAN/address changes every time cryptocurrency is received. It is really this simple. But if you want to get a little technical, here you are. Your wallet does not actually store anything. The only thing your wallet stores is your private address. Everything is on the blockchain, and when your private address matches the public address visible to everybody on the blockchain, the “transfer” is completed. When you set up a new wallet, you will be given a seed/passcode, a series of words. It is extremely important that you keep this safe. You can write it down and keep it somewhere safe or keep it in an encrypted file location on your computer. If you lose your cryptocurrency seed, then you will not be able to recover your cryptocurrency. But this will only be the case where you have also forgotten your wallet login details. So, for each wallet you set up, you will be given a recovery seed phrase which you need to keep safe, and you will be asked to enter a username and password. The seed can be anywhere from 12 to 24 words long. If somebody else gets their hands on your wallet words they can recover your wallet on their computer without your login and password. Choosing a cryptocurrency wallet is always a trade-off between ease of access and security. You can keep them on an exchange for the immediate purchase of assets, but this is the least secure. You can also keep them on a hardware wallet, which has the ultimate security, but which can make it more difficult to transfer cryptocurrencies in some instances, and is more expensive. Cryptocurrency wallets are broadly divided into hardware and software wallets. But it would be more accurate to divide them into online, desktop and hardware wallets. In any case, all of the wallets work with software, including the hardware wallets, so it is not an appropriate distinction to divide them into hardware and software, and these distinctions are not subtle enough to do justice to the different types of wallet. Online wallets are often referred to as “hot” wallets, while offline wallets are referred to as “cold” wallets. In online wallets, your cryptocurrency is kept online. Like everything else this has advantages and disadvantages, but it is commonly accepted within the cryptocurrency community that this is the least safe method. You can go with an official online wallet that is well established and has a team of experts securing the site and with a brilliant decentralized system, and it will still be less secure than a hardware wallet. This is because the wallet is online. It is on a network which the whole world has access to. And this means that there could be teams of hackers trying to hack into your cryptocurrency account or trying to think of ways to do so. And just because a system is foolproof now, does not mean that it will be foolproof in the future. Your online wallet could well be an online experiment where hackers see if they find a novel way to crack cryptocurrency. Currently, these online wallets do not store customer passwords or seed phrases on their servers. If they did, then they would run the risk of being hacked and giving away the codes to millions of dollars in cryptocurrency. At present, the hackers cannot steal what is not there, and this is what makes the system so strong. But hackers are known for their innovation and finding simple solutions. Instead of trying to break what is currently unbreakable, they could set up a site that is nearly identical to an online wallet. The user could go to that site and enter their username and password. The hacker would then go to the real site and extract all the cryptocurrency with stolen username and password. You are far more likely to fall prey to scams like this or to simply forget your seed and password than to have your cryptocurrencies hacked in a solid online wallet. The code for how these online wallets work is open source, so programmers can look into the code and see if there are any bugs or glitches and then report to the wider community. Exchanges and lesser known online wallets are much more risky than official and established clients like Blockchain Info. Some of the code or practices might be suspicious or not add up. And in terms of exchanges, there has been a history of shut downs where the operators have simply absconded with all of the funds. They are by far the least secure and one prominent example is the Mount Gox scandal, the world’s largest bitcoin exchange at the time where users lost all of their funds with no legal recourse. Desktop wallets, also called local wallets, are the next step in cryptocurrency wallet security. These wallets run locally on your machine. So, they are not connected to the internet, meaning there is no way for your information to be stolen. It is far better to keep your information locally than to keep it online with a team of experts or a mathematical algorithm securing it. Regardless of how well protected your data is online, there is still a chance that it could be stolen. But if it is not online, then it cannot be stolen because you are not connected to the world’s biggest network – the internet. These wallets are becoming more popular as the public become more aware about the dangers of online storage and the cryptocurrency industry gets larger. Hardware wallets represent the best in terms of cryptocurrency security. Even if you lose the wallet or it is stolen, people will not be able to access it as they will not have the pin or seed phrase. And the seed phrase, which is so important, is never actually exposed to your computer. When you connect to the internet, you run the risk of your computer being hacked as it is on a network. The chances are tiny, but it is possible for your computer to be compromised in some way; if your seed phrase is stored in an Excel file or somewhere else, it could be found. This is why hardware wallets trump desktop wallets. You have to use your computer and it is always possible to download a virus or fall prey in some fashion. Hardware wallets are one level removed and are used only when you need to access your funds, never being connected to the internet. Hardware wallets are immune to computer viruses, are encrypted with a pin and the software of the hardware is usually open source. The hardware devices usually require you to confirm a transaction on your device before sending; unless someone has your pin, your hardware device and you are safe. The only real downside to hardware wallets is that they cost money. When buying hardware wallets, only buy from Amazon and the official sites. Never buy a second-hand hardware wallet. This is the most well-respected and established hardware wallet there is, just edging out the Trezor. This wallet lets you create your own 24 word recovery phrase and allows users to confirm transactions through its screen. It can be folded for easy storage and currently supports a total of 21 cryptocurrencies, including bitcoin, Bitcoin Cash, Ethereum, Bitcoin Gold, Ethereum Classic, Litecoin, DASH, Zcash and Ripple. All of these cryptocurrencies are recoverable with the same passphrase. The Ledger Nano is compatible with Windows, Mac, Linux, and Chrome OX, as well as Android. You can store unlimited coins, it works with phones and when updating, you do not need to transfer your coins anywhere. Like all the best hardware wallets, even if your computer is hacked, there is nothing that the hackers can do, as transactions need to be confirmed on your hardware wallet. The Ledger team is very active in adopting new cryptocurrencies and features, and the customer support is fantastic. It currently retails at $95. It is smaller than the Trezor with a better and more modern design. 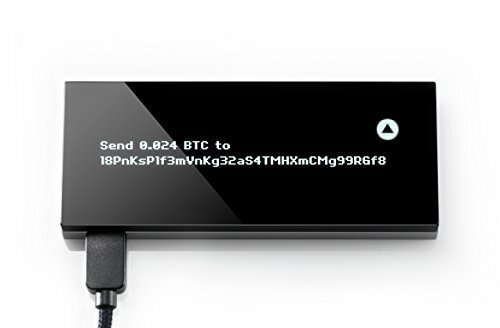 This is another well-regarded hardware wallet and was released in 2013, 3 years before the release of the Ledger Nano S. There are many similarities between the two. The 24-word seed is generated by the device and a pin code is required on startup. You have the option to add a password to the 24 word seed, which is an additional layer of protection (the 24 word seed is stored on the hardware device). Just make sure to remember this extra password. This is an awesome feature as you can add an extra password for different wallets within your Trezor, which could mean even if somebody got your seed word they could not do much without the additional password to each wallet. Like the Ledger Nano, to send transactions from your computer you need to verify it on the Trezor. To setup the Trezor, you need a pin code, a device name, and a password. All in all, the devices are practically the same, except the Ledger is slightly cheaper and looks a little better. The Ledger is also made of stainless steel while the Trezor is made of plastic, meaning that the Ledger might be a little more durable. 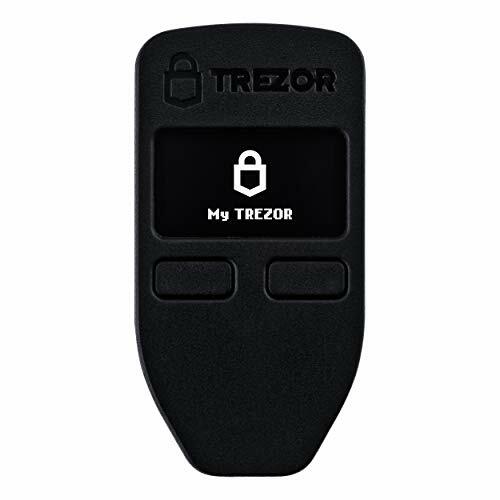 The Trezor currently supports 13 cryptocurrencies. The Keepkey is more compact, nicer, and cooler than the other two popular hardware wallets. The KeepKey has been around since 2015. The technology is based on Trezor software and it has all the characteristics of its two main rivals. It costs $99 and it has a high level of security. 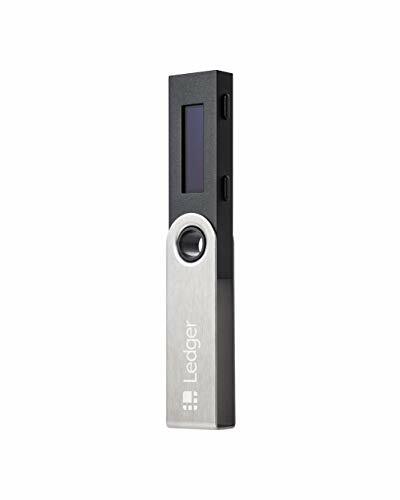 Like the Ledger Nano is has a metal body and it very easy to set up and initialize. It has a default recovery seed phrase of 12 words, which can be changed to 18 or 24. It has the nicest display of the 3 main wallets. The KeepKey supports bitcoin, Litecoin, Ethereum, DASH, Doge, NameCoin and Testnet. In truth, there is not all that much separating the best hardware wallets. They are all around the same price, are exceptionally secure devices, working with all major operating systems, and are easy to set up. All of the code is 100% open source. Mist is the best Ethereum wallet because it is the official one, along with its innate security features. Mist is the blockchain info of Ethereum, except the data is not kept online. If Mist were to be compromised or damaged in any way, the credibility of Ethereum would be hurt, even though it would not necessarily reflect the Ethereum project. Mist is a desktop client which has to be downloaded onto your computer. If offers two types of wallet, has a nice interface, and is generally regarded as highly secure. The downside is that it is not a light client and the entire Ethereum blockchain has to be downloaded, which can take some time and is not exactly beginner friendly. The Mist client is sometimes out of sync which can be frustrating. But overall it is secure and reliable, just not quick or easy. There is both a Mist wallet and a Mist web 3.0 browser much like Metamask (explored below), which can be confusing. Exodus is one of the best desktop cryptocurrency clients there is. As a desktop client, the data is not kept online, making it more secure than a hot wallet. The customer support is amazing; it supports nearly 29 cryptocurrencies, it is beginner friendly, it is free, and the user interface and design is customizable and looks great. It ticks all of the boxes and you can easily switch between cryptocurrencies within the platform. It’s not exactly within the platform that it exchanges cryptocurrencies. It actually uses ShapeShift.io to perform this, an external exchange. For a secure all-in-one location with cryptocurrencies that are easy to access and exchange, Exodus is the best there is. It’s hard to see why anybody would choose a client other than Exodus, its only disadvantage being that it is not an official client but a third party product. This is a well-regarded wallet that is also open source. As good as it is, it does not have the reputation as an official wallet such as Mist, but it has a solid track record. But this is a desktop wallet designed specifically for the storage of Ethereum. Nothing is stored on their servers, much like Exodus. You do not create an account with them or give them any information. Nothing to steal, nothing to hack. Many people think that MyEtherWallet (MEW) is online because the wallet is created on your web browser, but this is not the case, as the operations are completed locally and not on the internet. Along with Ether coins, you can store Ethereum Classic and ERC-20 tokens, which are tokens issued on the Ethereum platform. The main disadvantages of this client is that it can only store 3 Ethereum tokens and there are a lot of phishing scams for this site, meaning users downloading the wrong client will lose their coins. Coinbase is the largest exchange of bitcoin at present. It is true that Coinbase holds the data online, but their security levels are incredible. Coinbase has an elite team of cybersecurity specialists from the Silicon Valley and around the world, and even has FDIC insurance for dollar deposits; this is the same security offered for your regular bank account. Coinbase even offers third-party digital cash insurance for your cryptocurrencies. Hard to get better than this. But Coinbase is almost like a bank. It has been called the “Goldman Sachs” of the cryptocurrency world. It is highly regulated by the IRS as one of the biggest exchanges. Currently, Coinbase buys and sell bitcoin, Ethereum, Bitcoin Cash and Litecoin. This platform is attractive in the sense that it is so easy to buy and sell cryptocurrencies with a credit or debit card, or a bank account. But it does seem to be centralized and have government scrutiny – the initial point of cryptocurrency being deregulation, decentralization, and less government. If you make profits on currencies in this exchange, you are advised to declare them and pay taxes. Coinbase holds the private key of your wallet. If they decide to shut down your account, they can and will, for any reason. This has happened before, for alleged illegal activity. Very much like a bank in many respects. Metamask is a new type of online wallet. It is like a browser to access the Ethereum wallet. But it is more than this. Metamask of is one a series of steps that are decentralizing the internet because you will be making purchases on webpages and can make these transactions directly with Ethereum. In terms of a wallet, Ether coins are stored in a Chrome extension. But while it is a wallet, it is a wallet that can be integrated with Dapps, decentralized apps built on the Ethereum blockchain, so it is going to have an endless supply of applications, literally. It is also quite easy to set up. They are looking into hardware-compatible wallets as well as more secure browsing options. A technology to watch out for and a relatively secure Ethereum wallet, if not the most secure. Another type of wallet which is quite popular is called a paper wallet. If done correctly, paper wallets are just as secure as hardware wallets, because all of the data is kept offline. Technically, hardware wallets function much like a paper wallet. And of course, in the end, you need to save your recovery words on a piece of paper for your hardware wallet because if the hardware fails, then so does the recovery, which can bring everything back to square one. A paper wallet can be created quite easily. It is simply a public and private key printed together. There are a number of ways to do it, but generally you can go online and get the public and private key generated in QR format (there will be a hash underneath the standard QR square picture). Now, you copy the hash down or print it out to avoid errors and store it securely, deleting the record from your computer (the key generation is done on the browser, so it is not transmitted to the internet. To be safe, you should clear your browser after printing). A good open-source hardware wallet is a little more secure, all things considered, than a paper wallet, for the following reason: With a hardware wallet, you have two points of failure. You will have a copy of your seed stored on paper as well as a copy of the seed on your hardware device. If your house burns down or your hardware fails, your cryptocurrencies are still recoverable. Your seeds are in two places. Because the code is open source, if the company goes out of business then you can make a new Trezor/Ledger Nano/KeepKey type of device to get your money back. With a paper wallet, if you lose that piece of paper, then that is it. You will not recover your coins. Aside from this they are identical from a security standpoint. Hardware wallets are easier to use and can store multiple cryptocurrencies. They make it easy to use cryptocurrencies while still maintaining a high degree of security. The sole real advantage of a paper wallet is that it is free. All things considered, the best wallet at present would have to be Exodus. It is easy to set up, the code is open source, it is incredibly user friendly, has a fantastic track record, an amazing customer support with quick response time, supports a large variety of cryptocurrencies which can be exchanged very quickly using ShaptShift.io, and it is more than safe enough for the majority of users. Of course, if you want the very best in terms of security, you need a hardware wallet such as the Ledger Nano S. There is no disagreement that this is the safest option. But the fact is that a good desktop or even a strong online client are very safe for now. Hackers will go for the easy meat first, using phishing attacks, exchanges, and marketplaces. Phishing attacks still work so very effectively. A link on a forum tells users to download the official version from this site. The link is actually to a scam site which could be found by investigating the URL. The scam site takes all of the user’s cryptocurrency. This has happened to MyEtherWallet, Electrum, MyMonero and countless others and customers have lost quite a lot of money. This is a far greater danger than losing your cryptocurrency due to the fund operators stealing the coins, as the code is open sourced and subject to scrutiny. If you have a good client and simply secure your wallet seed words in two places, you are ahead of the curve, and are safe for all intents and purposes. You will generally not read this on technical forums, because these tend to be overly concerned with security as opposed to practicality, and security specialists will prize security above all else. Far more cryptocurrency coins have been lost due to forgotten seed phrases than have been stolen by criminals. You have more to fear from carelessness and a lack of diligence than anything else. A Ledger Nano S might be a good option if your portfolio is more than $20,000 or so or if you are securing cryptocurrencies for other people, but other than this, a strong online or desktop client is good enough. All that can be said is that different types of wallets have different advantages and disadvantages and there is always a trade-off. It is up to the individual user to choose their best option and above all, make sure to keep the seed phrase in two safe locations. It is not like the banking system, where illegal transactions can be refunded or reversed. Once a transaction is on the blockchain, it is there to stay, even if it is fraudulent.